The prize is split into two major categories namely published and unpublished novels[,] each of which will have five winners. For the published novels, the five winners will each receive $60,000[,] while five winners…[in the] unpublished category will each be awarded $30,000. Among the winners, one will be chosen to receive $200,000 as the best novel[,] which will be turned into drama. All the winning novels will be translated into English, French and Spanish…. [They will also be] printed and marketed. This sounds as though Katara will not provide incentives for publishers to bring out these works in translation, but will instead print and distribute themselves, surely weakening the books’ availability. Eligible novels must have a living novelist, and must have been published between March of last year and October 31 of this year. As with the IPAF, each publisher gets three submissions, while manuscripts can be submitted through the prize website. According to the prize website, the judging will be done by four separate committees, which — as has happened with the Sheikh Zayed Book Award and the Pulitzer, among others — can lead to a “no award,” if one of the committees isn’t happy with the work done by a committee earlier up the stream. It is also unclear how the judges will be chosen, how their independence and integrity will be maintained, and what “filtering rules” (قواعد الترشيح ) will be applied. 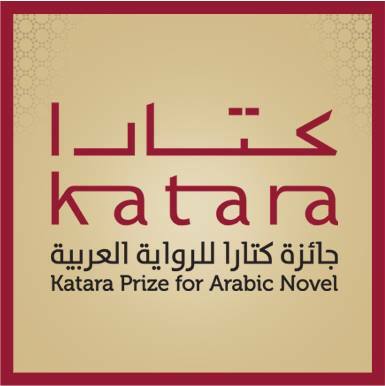 This has been the big selling point of the IPAF, and to compete, the Katara prize will also need to make a show of transparency and independence. According to The Peninsula Qatar, “Each jury comprises intellectuals, artists and critics who are not eligible to participate in the competition.” There was no information about whether the judges’ names would be revealed or whether they would all remain anonymous. The prize website also celebrates Arab novelists, although information about the “celebrated” novelists is fairly scant and heavily male-dominated. It will include a library for Arabic novels, a training centre, an archive and database for Arabic novels and a pioneering project for Qatari Arabic novelists. It will also house a permanent exhibition on the history of Arabic novels and photos of famous Arabic novelists and their books. Twelve Qataris between 18 and 30 will be selected each year. They’ll reportedly receive monthly stipends and mentoring. How does this rhyme with Qatar’s record as a slave state for foreign labour and enemy number one of freedom of expression and creativity? Well, if you look at it as soft-culture PR (with unspecified rules and unclear how it would be transparent), I think it could rhyme with just about anything.